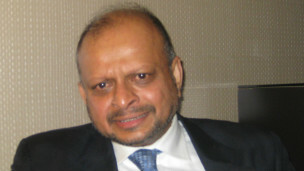 Transnational Government of Tamil Eelam (TGTE) applauds Sri Lanka’s Northern Provincial Council for passing a unanimous Resolution to Refer Sri Lanka to the International Criminal Court (ICC) and to hold a UN sponsored Referendum to find a permanent political solution for the Tamil conflict in Sri Lanka. “We salute you, the Northern Provincial Council, for this Resolution to get justice for the tens of thousands of Tamils who were killed and hundreds of Tamil women who were raped by the Sri Lankan security forces. These Tamils faced atrocities simply because they were born as Tamils,” said Prime Minister of TGTE Mr. Visuvanathan Rudrakumaran. “Despite, the Sri Lankan Government’s attempt to mislead the international community and despite the very large number of Sri Lankan security forces present in Tamil areas, you passed this Resolution expressing the wishes of the Tamil nation. This resolution demonstrates that the political aspirations of the Tamils inside the island of Sri Lanka and the outside are the same. Unified, we are a force to be reckoned with. Yes to referendum.” added Rudrakumaran. “While every Member of the Council should be thanked for this achievement, we especially wish to thank Mr. M.K. Shivajilingam for sponsoring this Resolution. It is noteworthy that the Leader of the Opposition, Mr S. Thavarajah and Council Member Mr. Ayoop Asmin seconded the motion” he concluded. 5. Since Sri Lanka has failed, and is unwilling to offer an equitable political solution to the Tamil speaking people, and failed to take adequate measures to prevent the recurrence of the past violence, this Council calls upon the member countries of the UN to help conduct a UN monitored referendum in the North-East region of the Island to determine the political preference of the Tamil speaking people towards finding a permanent political solution. ஐ.நா மனித உரிமைச்சபை உறுப்பு நாடுகளுக்கு நாடுகடந்த தமிழீழ அரசாங்கம்…. TGTE Applauds Northern Provincial Council’s Resolution …..